The most versatile Watersport for the family, Fitness & adventure. A solid intro covering correct paddle technique, balance strategy, straight line performance, Turning and bringing on the power. All done within the river so tidal knowledge, weather information and lots of local advice thrown in. If you know the river & have done some paddle boarding before then this is for you. 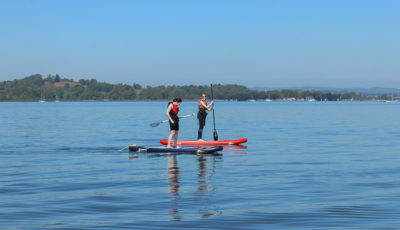 Fancy taking your SUPing a little further? Join us for a River Exe explore or head along the Jurrasic Coast to discover Devon's gems while floating above the water. A brief 15 mins intro to the sport, Paddle technique, then off you go on your own. Includes all the gear & a designated area to paddle in. 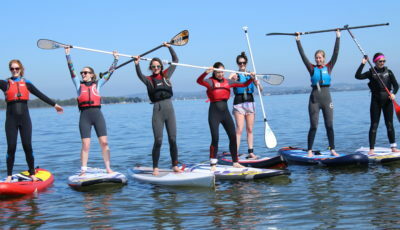 Full party watersports fun as you paddle on the Megga SUP & establish how to balance with 8 people without falling off! Stand Up Paddleboarding is a great full body workout that also calms the mind. 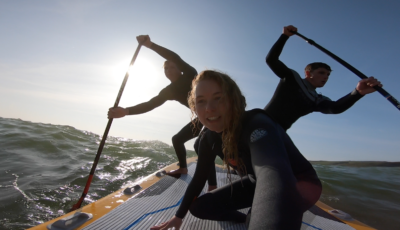 We are running some specially-designed paddleboard yoga sessions to give you the full experience. All levels welcome & includes all the gear. It’s back! SUP Yoga for Summer 2019. After the success of last year and the amazing feedback we received, we are pleased to announce our first dates for the upcoming season. 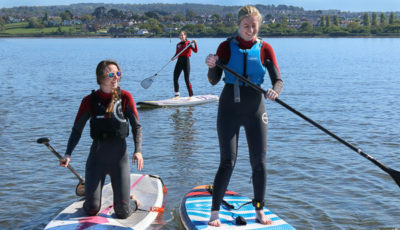 This is a great chance to learn if you are a complete beginner, or just come out and have a blast in the Exe estuary. 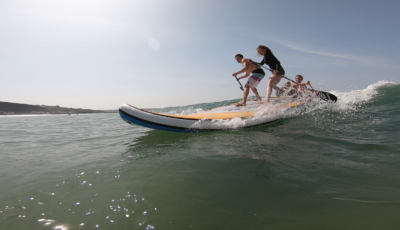 You will get a 2 hour session on the water, board, paddle and wetsuit is included, and this is ample time to really get to grips with SUP, and even try some yoga moves at the end. This years event is supported by Exeter City Futures who Edge are working closely with to help create a greener Exeter with events such as the Hammer being a great image for this initiative.